The closing match saw the Barbarians beating Argentina 38-35. We’ll see you folks back here again next autumn season! Well, it took 113 years but Ireland have finally shaken the All Black monkey off their backs, with a fantastic performance in Dublin. Critics will argue that it wasn’t a great show from New Zealand, but since when did that stop them winning. Elsewhere, Scotland kept the Boks to within 6 points and Wales trampled Tonga. This Saturday will see the final games of the Autumn series, games to note, in our oh so humble opinion, include Scotland vs Argentina at 1430, before switching over to England vs Australia at 1500, followed by Wales vs South Africa at 1720. Wales have finally chalked up a win against the Wallabies, for the first time since 2008. It wasn’t the greatest of games and it certainly wasn’t a great Wallabies side, but after 13 games and ten years, there wouldn’t have been many people complaining in Cardiff on Saturday night. If the Welsh weren’t complaining, their English cousins more than made up for it when a late try from Underwood was disallowed in the 76th minute, it was a harsh decision, but England should have made the most of their earlier opportunities. In Dublin, Ireland beat Argentina, but it wasn’t as convincing as you’d expect, Scotland trounced Fiji running in eight tries and in Rome, Italy will be happy with a win against Georgia. South Africa were in Paris and beat France 26-29. It’s another full fixture list next Saturday, with the highlight being Ireland against the All Blacks at 1900 GMT. The first week of the Internationals made great strides for the winning teams. England clinched a 12-11 victory against South Africa, Wales defeated Scotland 21-10 and a huge win for Ireland against Italy by 54-7. 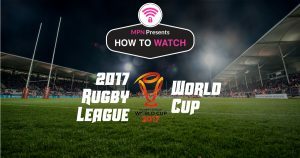 Week two starts on the 10th of November with Italy v. Georgia @ 14:00GMT, Scotland v. Fiji @ 14:30GMT, England v. New Zealand @ 15:00GMT, Wales v. Australia @ 17:20GMT, Ireland v. Argentina @ 18:30GMT, and France v. South Africa @ 20:05GMT. See the details below to follow your favorite team live online. The 2018 Rugby Union Autumn Internationals, or simply known as the November Internationals are rugby union Test matches that are contested between home teams from European national teams (Northern Hemisphere) against visiting teams from the Southern Hemisphere. Usually, each team will play three to four Test matches and at the end, one of the major Southern Hemisphere teams will often play against the invitational Barbarians club in a traditional “Final Challenge”. This year, we’ll see Argentina taking the helm against the Barbarians on the 1st of December. Starting from 3 November till 1 December, the matches will be played every weekend on Saturday in different cities. Know your timezones? Use WorldTimeBuddy.com if you want to check your timezone accurately. Our GMT timezone is set to UTC+1. For the full schedule, kindly visit Autumn-Internationals.co.uk here. If you’re not currently in the U.K, then you’ll need to connect to our VPN first before streaming the games. 2) Install our VPN on any device that you’ll be using to watch the 2018 Autumn Internationals. 3) Connect to our U.K (GBR) servers for Sky Sports, Now TV, BBC, Channel 4, and Premier Sports, Ireland (IRL) servers for RTE, European servers for Eurosport, or Asian servers for RugbyPass. Watch the live stream of all England matches from Sky Sports. However, you’ll need a paid subscription with them to access their content. Availability: U.K only – Connect to our U.K (GBR) servers first before starting the stream! Tip: Autumn Internationals will be airing live from 3 November 2018 on Sky Sports Action. Watch the live stream of all England matches from Now TV. However, you’ll need a paid subscription with them to access their content. Availability: U.K only – Connect to our U.K (GBR) servers first before starting the stream! 1) Sign in on the NowTV website or download the Now TV app on iOS or Android. Tip: Now TV is a U.K only subscription which requires a U.K based credit card to work. However, once you’ve used your account with a U.K IP address within the last 30 days, you may then take Now TV with you to most EU countries. Read Now TV’s FAQs here. Watch the live stream of all Wales and Scotland matches from BBC for free. Whilst BBC doesn’t charge for their content, you’ll still need a BBC account to access them. Learn how to sign up for free here. Availability: UK only – Connect to our U.K (GBR) servers first before starting the stream! 2) Search for the live stream and start watching to the matches! Tip: Autumn Internationals will be airing live from 3 November 2018 on BBC One, BBC Two, and BBC Radio 5 Live Sports Extra. Highlights of all games are also available on replay from BBC. Watch the live stream of all Wales matches from S4C for free. Availability: U.K only – Connect to our U.K (GBR) servers first before starting the stream! 1) Head to the S4C website. Tip: Autumn Internationals will be airing live from 3 November 2018 on S4C. Watch the live stream of three Scotland matches from BT Sport. However, you’ll need a paid subscription with them to access their content. Availability: U.K only – Connect to our U.K (GBR) servers first before starting the stream! 1) Head to the BT Sport website and sign in to your account. Tip: Autumn Internationals will be airing live from 10 November 2018 on BT Sport 2 and BT Sport 3. Watch the live stream of three Ireland matches from Channel 4 for free. Whilst Channel 4 doesn’t charge for their content, you’ll still need a Channel 4 account to access them. Availability: U.K only – Connect to our U.K (GBR) servers first before starting the stream! 1) Head to the Channel 4 website or download the All 4 app on iOS or Android. Tip 1: Sometimes Channel 4 will display an error “content is not available in your area” even after you’ve connected to our U.K servers. If you’re experiencing this error, you’ll need to change your device’s timezone to the U.K in order to get it working again. Learn how to change the timezone on your device using our guides below. Tip 2: Autumn Internationals will be airing live from 10 November 2018 on Channel 4. Tip 3: Ireland v. Italy will be airing live from 3 November 2018 on Premier Sports and Eir Sport’s YouTube channel (free). For YouTube, kindly ensure that you’re connected to our Ireland VPN as it is geo-blocked everywhere else. Click here to use Polsy’s YouTube restriction checker tool to see which countries are geo-blocked. Watch the live stream of three Ireland matches from RTE for free. Availability: Ireland only – Connect to our Ireland (IRL) servers first before starting the stream! 1) Head to the RTE Player website. Tip: Autumn Internationals will be airing live from 10 November 2018 on RTE Player. Tip 2: Ireland v. Italy will be airing live from 3 November 2018 on Premier Sports and Eir Sport’s YouTube channel (free). For YouTube, kindly ensure that you’re connected to our Ireland VPN as it is geo-blocked everywhere else. Click here to use Polsy’s YouTube restriction checker tool to see which countries are geo-blocked. Watch the live stream of all France and Italy matches from Premier Sports. However, you’ll need a paid subscription with them to access their content. Availability: U.K only – Connect to our U.K (GBR) servers first before starting the stream! 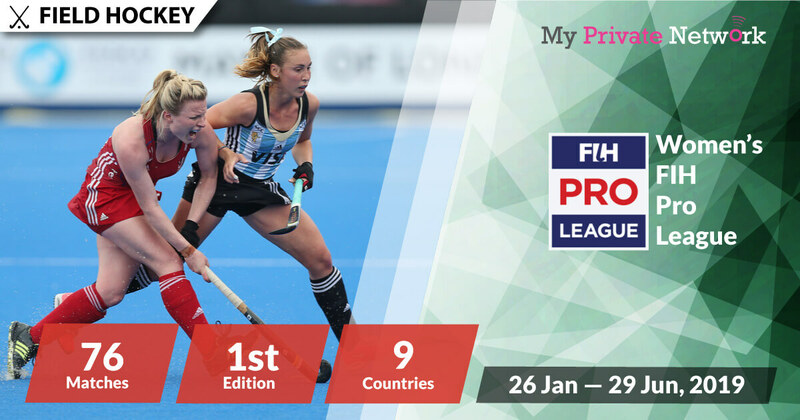 1) Head to the Premier Sports’ player website or download the Premier Sports app on iOS or Android. 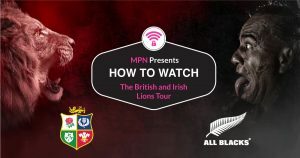 Tip: Autumn Internationals will be airing live from 10 November 2018 on Premier Player HD. Watch the live stream of all France matches from Eurosport. However, you’ll need a Eurosport subscription to access them. Availability: Europe only – Connect to our European (DEU, FIN, SWE, etc.) servers first before starting the stream! 1) Sign in on the Eurosport’s player website or download the Eurosport app on iOS or Android. Tip: Autumn Internationals will be airing live from 10 November 2018 on Eurosport. Watch the live stream of all New Zealand matches from Sky Sport NZ. However, you’ll need a paid subscription with them to access their content. Availability: New Zealand only – Connect to our New Zealand (NZL) servers first before starting the stream! Tip: Autumn Internationals will be airing live from 3 November 2018 on Sky Sport 1. Watch the live stream of all matches from RugbyPass. However, you’ll need a paid subscription with them to access their content. Availability: Asia only – Connect to our Hong Kong (HKG), India (IND), Indonesia (IDN), Malaysia (MYS), Pakistan (PAK), Singapore (SGP), or Taiwan (TWN) servers first before starting the stream! 1) Sign in on the RugbyPass website or download the RugbyPass app on iOS or Android. Tip: Autumn Internationals will be airing live from 3 November 2018 on RugbyPass. We hope you found this article informative and useful. Please feel free to share it with your friends or family that want to watch the Autumn Internationals too!